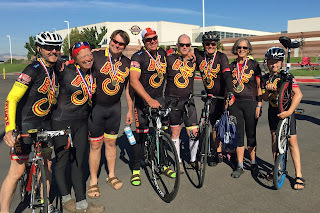 We placed very well with 2 first place age group finishes (Dennis and Marcia), a 2nd place and 2nd place overall for women (Jamie), first in the unicycle division (not a real category, but a champion in our hearts - Ben), and we took first place as a team! 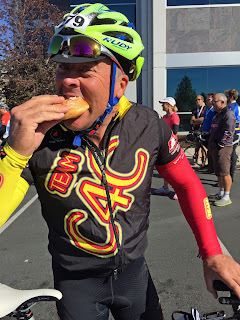 We flew on the backs of Gregg and Steve, who ate 14 and 17 donuts respectively. Gentlemen, we salute you. 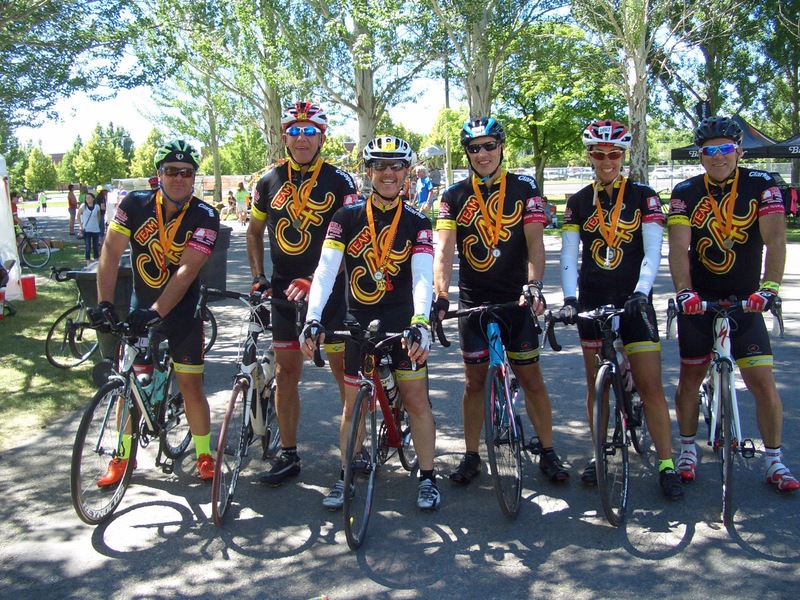 Of course, we love to ride, we love to ride together, and we love to ride for great causes like ending child trafficking and the Rotary Club. But the very best part of Team C4C now and always are the personal connections we make with everybody we ride for. 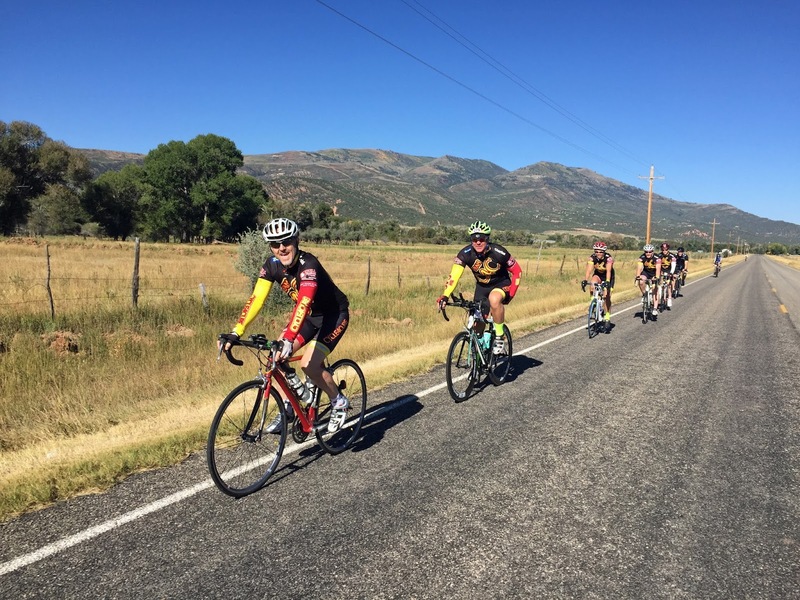 Carrying somebody who is sick or hurting on the saddle with us, praying for them, and dedicating our rides to them is what keeps us going. 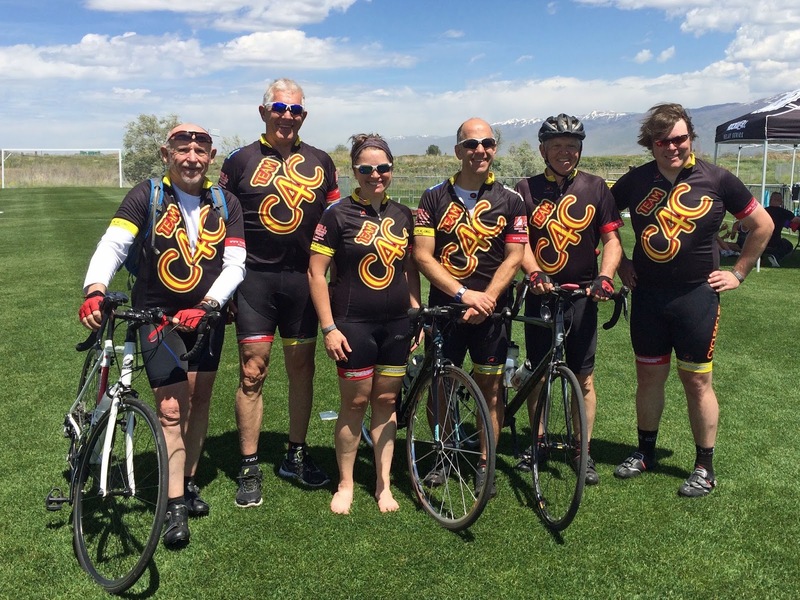 Team C4C has already invested a ton of miles, thousands of dollars, and hours of prayers into 2016 and the year is only half over! 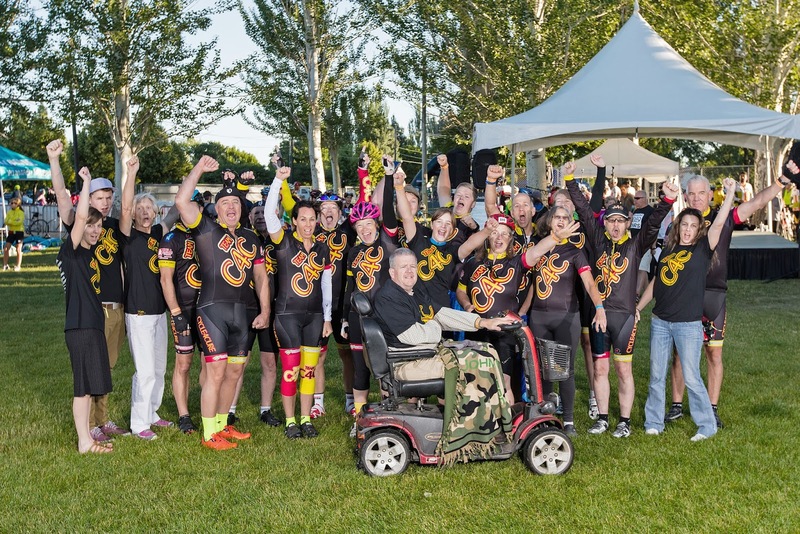 So far the team has raised almost $11,000 for Bike MS alone, and we'd love to have your support for this great charity - it's easy to donate and every dollar goes to the National MS Society. 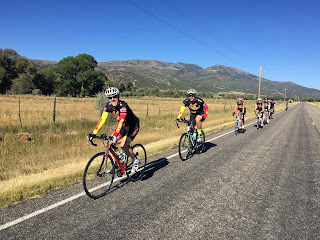 We had a small-but-mighty showing at the first organized ride of the year, the Front Runner Century. 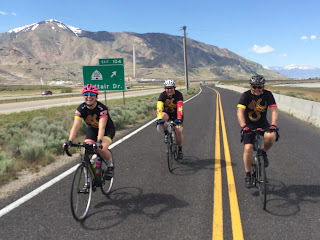 Front Runner benefits those fighting Chron's Disease and we were blessed with great weather for the ride even though the forecast looked dismal. 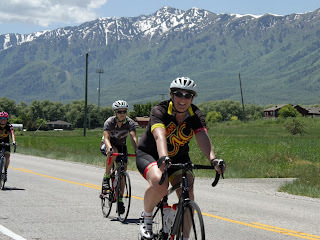 Next was the Gran Fondo Salt Lake on a very windy but very beautiful day. 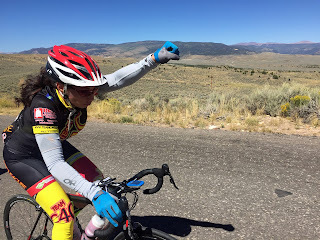 And then the best ladies' ride of the year - Little Red! 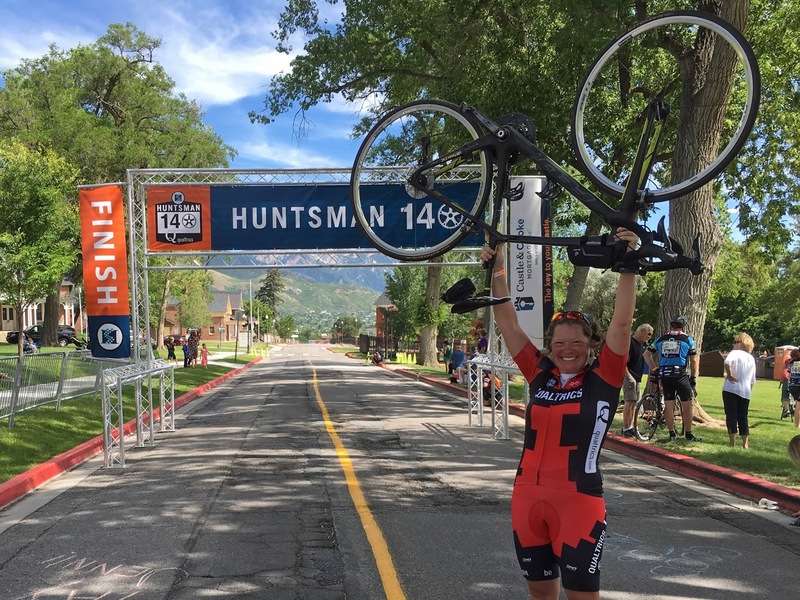 Little Red benefits the Huntsman Cancer Institute and it's a wonderful celebration of life, women, and bikes. 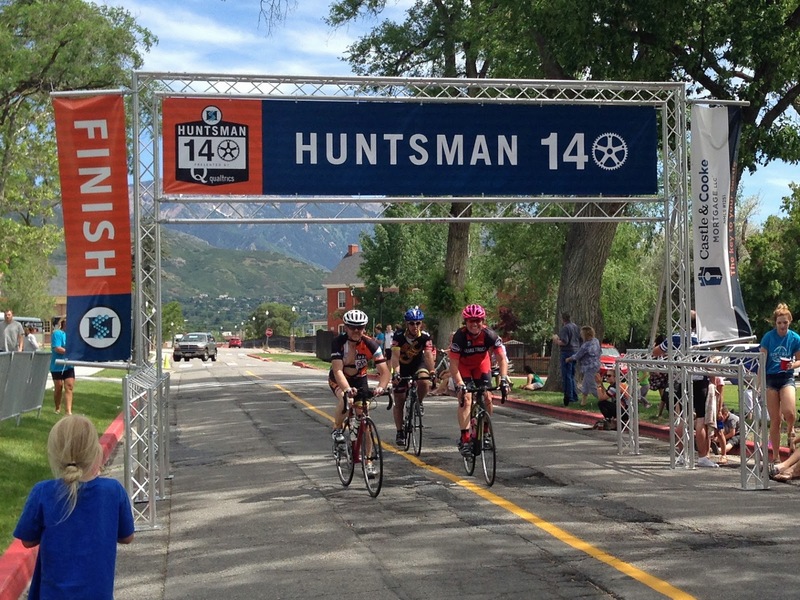 Right on the heels of Little Red was the Huntsman 140. Members of Team C4C rode distances from 80-140 miles in honor of those we've lost, support of those who are fighting, and in hope for a cancer-free future. 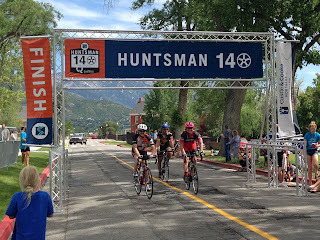 Read more about why we ride the Huntsman 140 here. 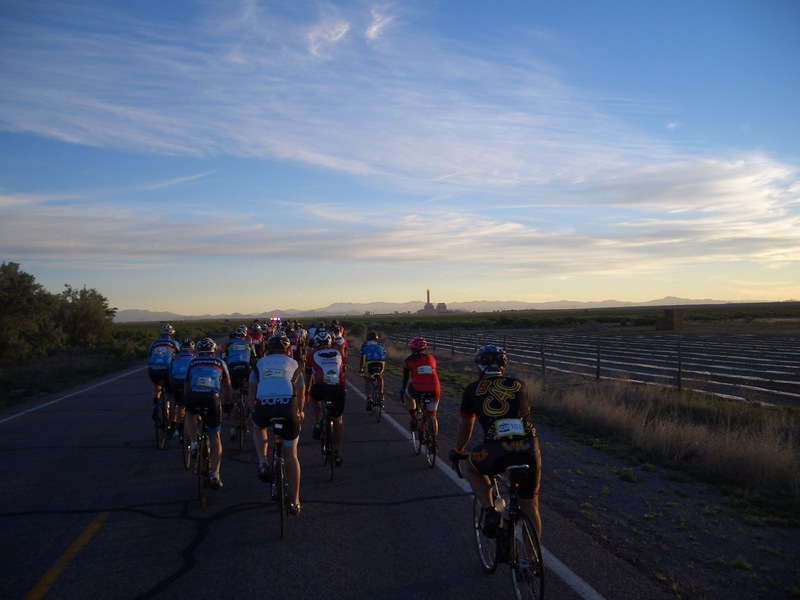 And our final June ride was the biggest of the year - the MS 150! 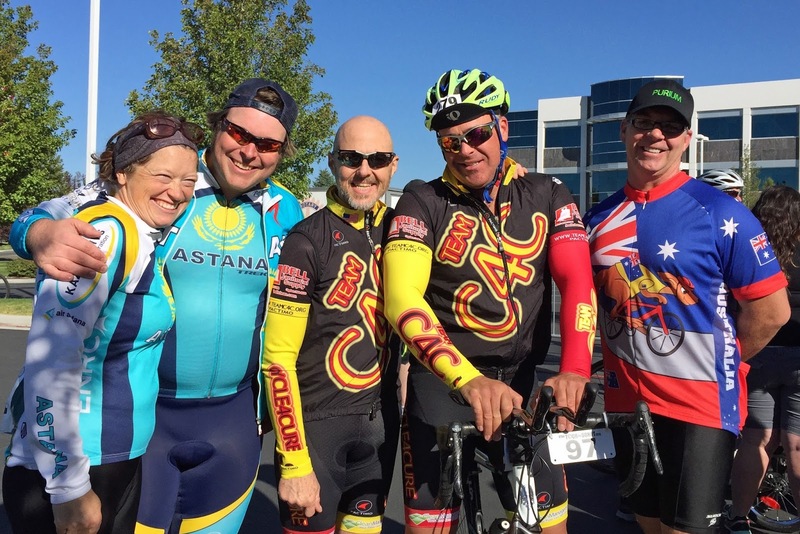 This year's MS ride was especially poignant because it marks one year from our final ride with teammate Rob Bateman, who passed away unexpectedly last October. 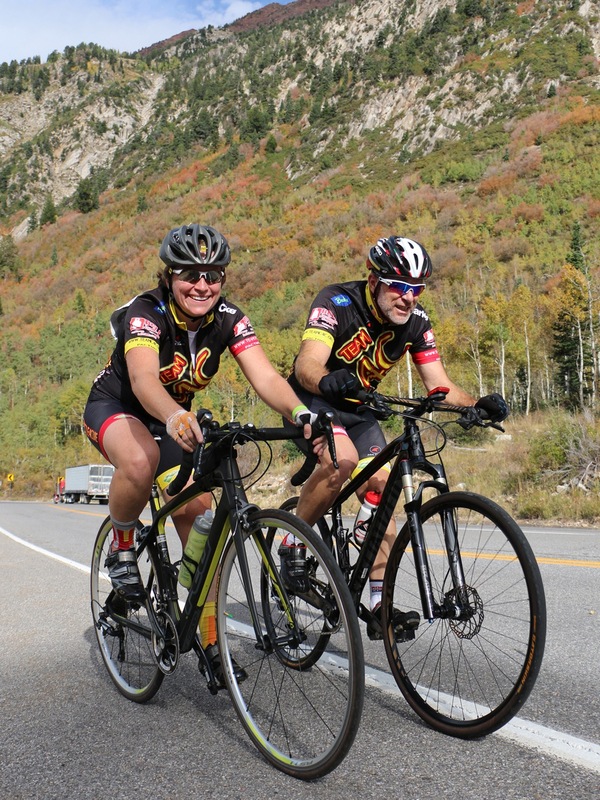 We were honored to ride in Rob's memory and in support of the MS society and all the men and women living with Multiple Sclerosis. 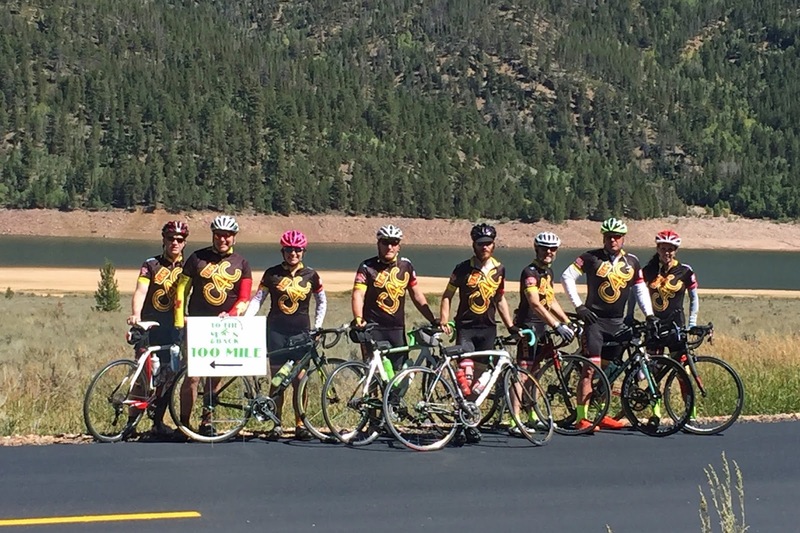 140 miles is a big goal. It's a big, exhausting day that we excitedly sign up for, pay entry fees for, train for, get up at 3:30 am for, and bust our butts to achieve. 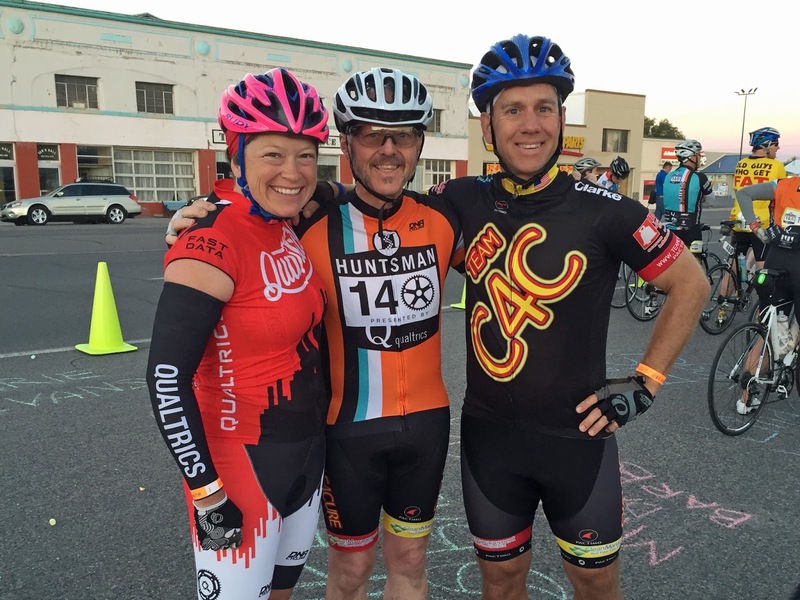 On Saturday I was proud to ride with Team Qualtrics and Team Cycle4Cure in the Huntsman 140 to benefit the Huntsman Cancer Institute. 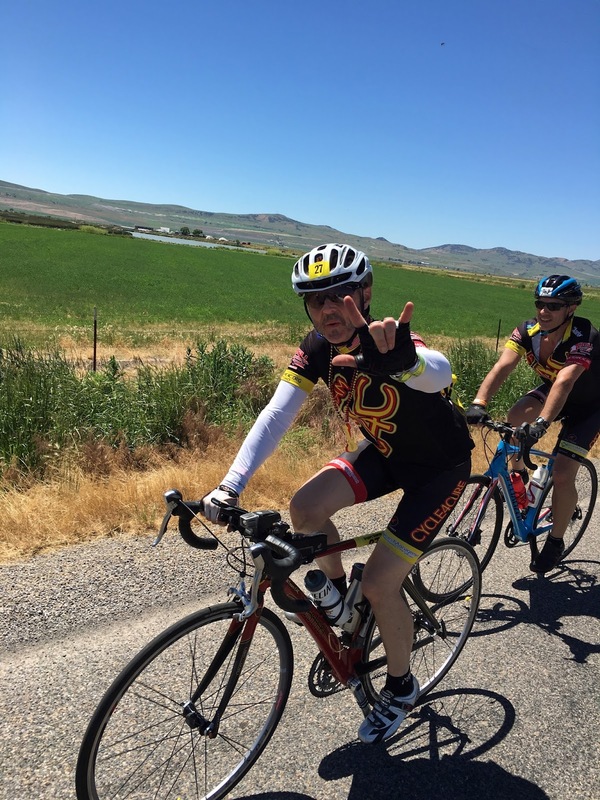 I rode in honor of those we have lost, in support of those fighting tough battles, and in the hope of a bright and healthier future. 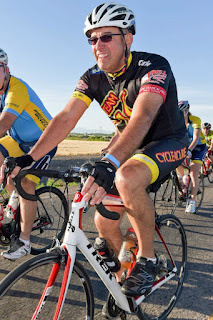 I rode in honor of my mother-in-law, Sharon Morningstar, who we lost to ovarian cancer 5 years ago. I rode in support of Tom and Renee Bradley who are in the care of the Huntsman Cancer Institute fighting melanoma and breast cancer. 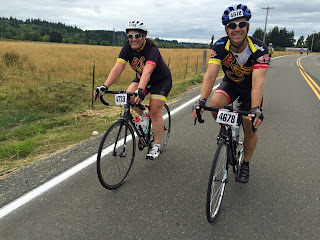 And I rode in hope of a healthy future. At current rates, 2 in 5 of us will fight cancer in our lifetimes. We must do better. Today's ride is in support of the Huntsman Cancer Institute, where scientists, doctors, and caregivers are making tremendous progress in today's treatments and tomorrow's cures. I am so proud and grateful for this ride and all it stands for. Team C4C had a strong end-of-season showing. 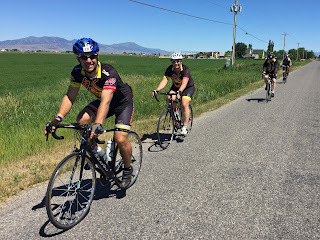 We enjoyed a beautiful August and September cycling together as a team - training our bodies, enjoying the community of our team, and praying for those in pain and need. It was a great end to a beautiful year - now to bring the trainers indoors, enjoy some snow, and dream about the 2016 season! 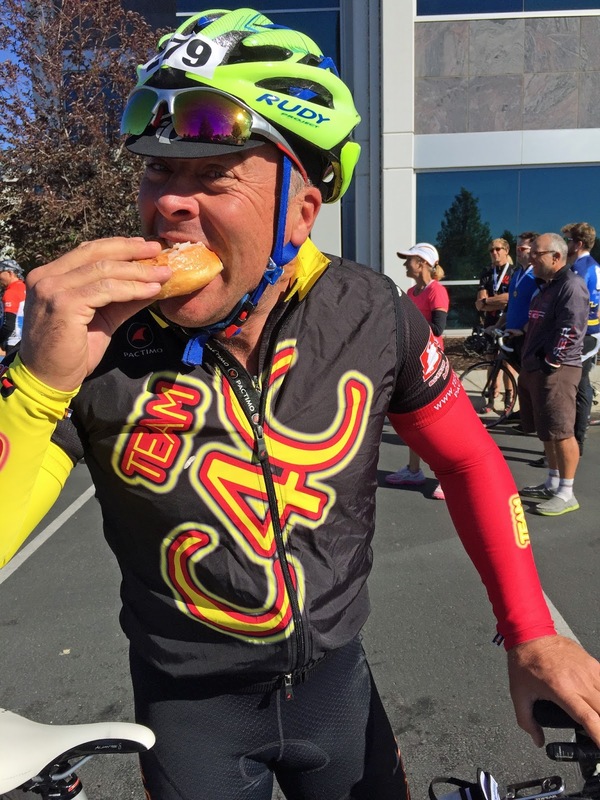 Last week we lost one of our own, Team C4C member Rob Bateman. 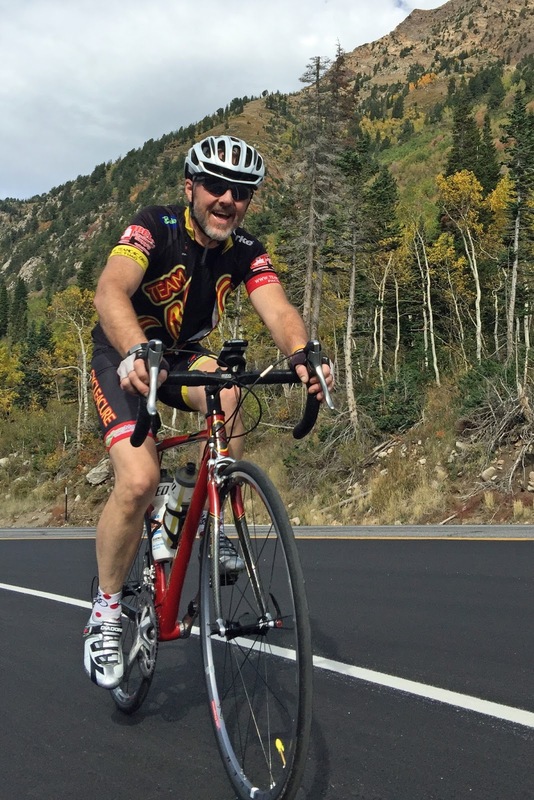 Rob became hooked on cycling as a teenager in Germany, where his father was stationed with the US Army. He found that cycling in the mountains gave him a powerful sense of freedom while requiring a real commitment in return. 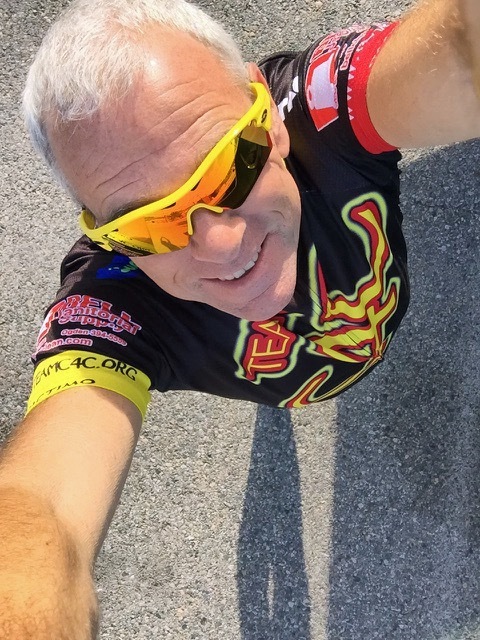 His own career in the US Foreign Service and later, with ProModel Corporation, took him to more than 60 other countries. 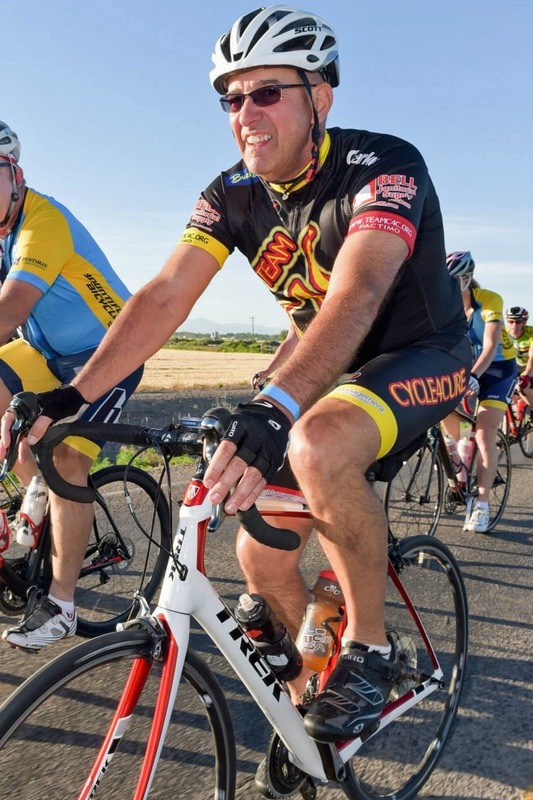 After serving as mayor of Eagle Mountain (2000) and finishing his PhD at the University of Utah (2003), he began riding long events in Utah and Idaho. Since 2005, he spent most of the year in the Middle East where he taught public administration and international business. His training usually consisted of rides through the desert where he dodged the occasional camel or oryx. 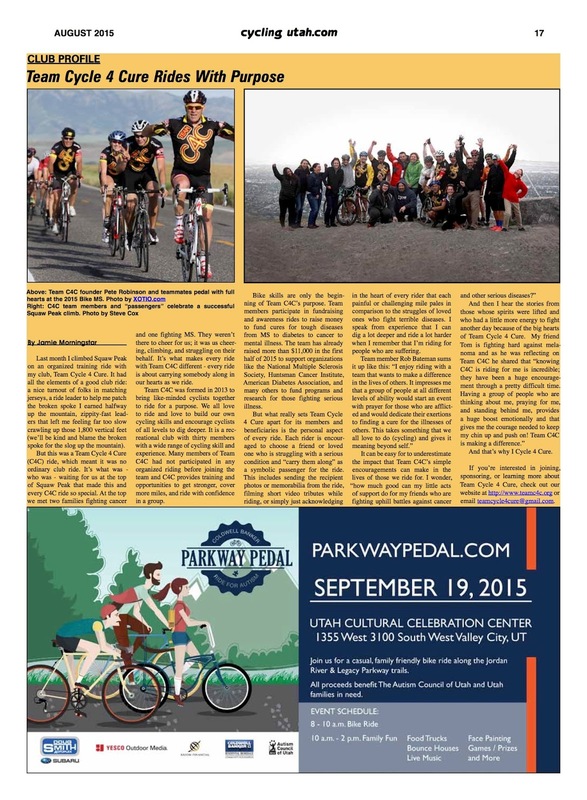 He cycled with Team C4C during summers at home in Utah with his six children and their families. 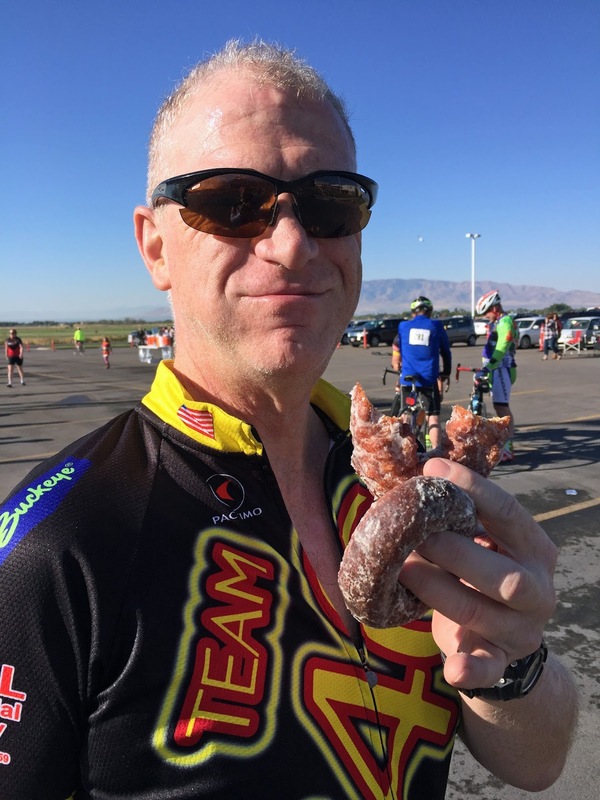 Rob's mother, DeNai Bateman (nee McMullin), passed away last year from complications associated with multiple myeloma, a rare form of bone cancer. Her life of compassion and service was extended for eight years by experimental treatments developed through medical research. Rob rode in her memory and in hope that funds raised through his cycling could ease the lives of others with serious illness. Team C4C honors Rob's memory and offers its condolences and prayers to the entire Bateman family. 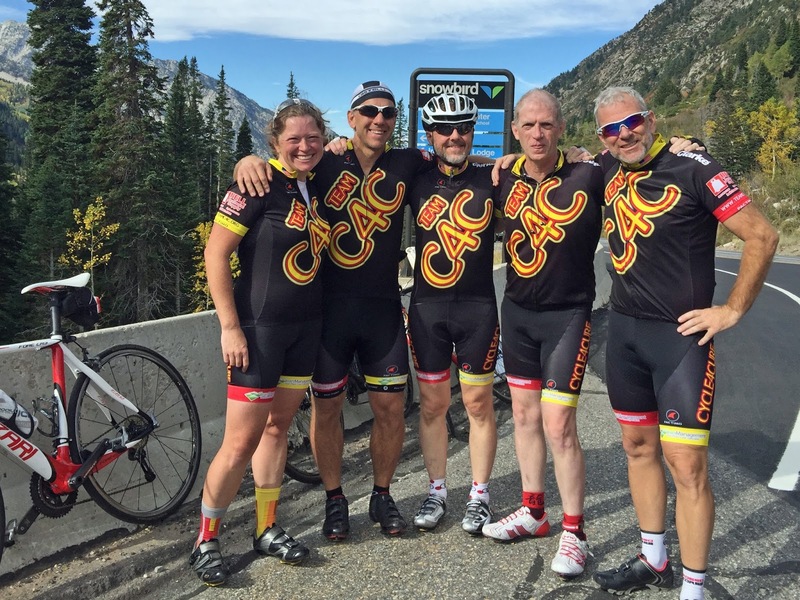 We will all miss Rob's love of cycling, his tenacity, and his generosity of spirit. 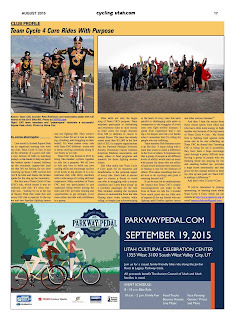 Check out the C4C Team Spotlight in the August issue of Cycling Utah Magazine! 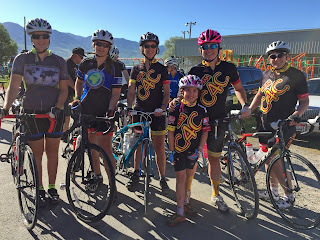 Last month I climbed Squaw Peak on an organized training ride with my club, Team Cycle 4 Cure. 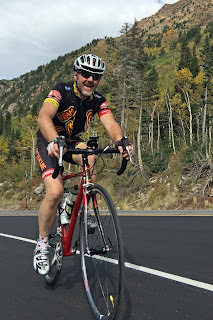 It had all the elements of a good club ride: a nice turnout of folks in matching jerseys, a ride leader to help me patch the broken spoke I earned halfway up the mountain, zippity-fast leaders that left me feeling far too slow crawling up those 1,800 vertical feet (we’ll be kind and blame the broken spoke for the slog up the mountain). 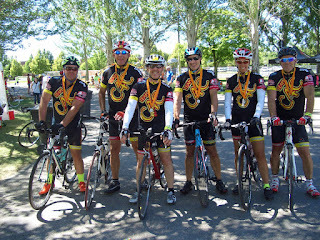 But this was a Team Cycle 4 Cure (C4C) ride, which meant it was no ordinary club ride. 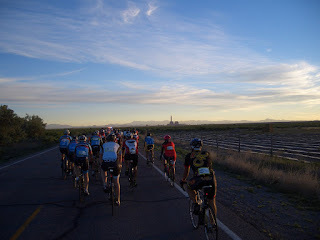 It’s what was - who was - waiting for us at the top of Squaw Peak that made this and every C4C ride so special. 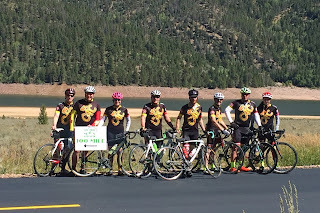 At the top we met two families fighting cancer and one fighting MS. They weren’t there to cheer for us; it was us cheering, climbing, and struggling on their behalf. It’s what makes every ride with Team C4C different - every ride is about carrying somebody along in our hearts as we ride. 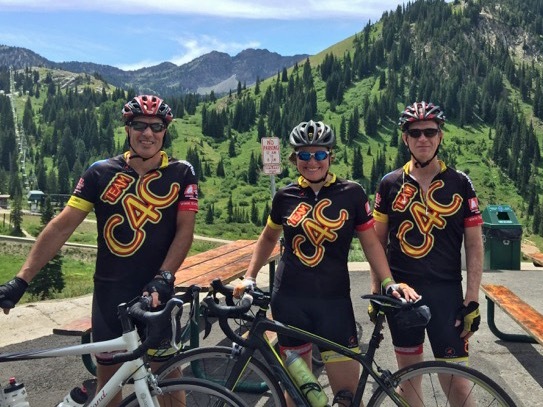 Team C4C was formed in 2013 to bring like-minded cyclists together to ride for a purpose. 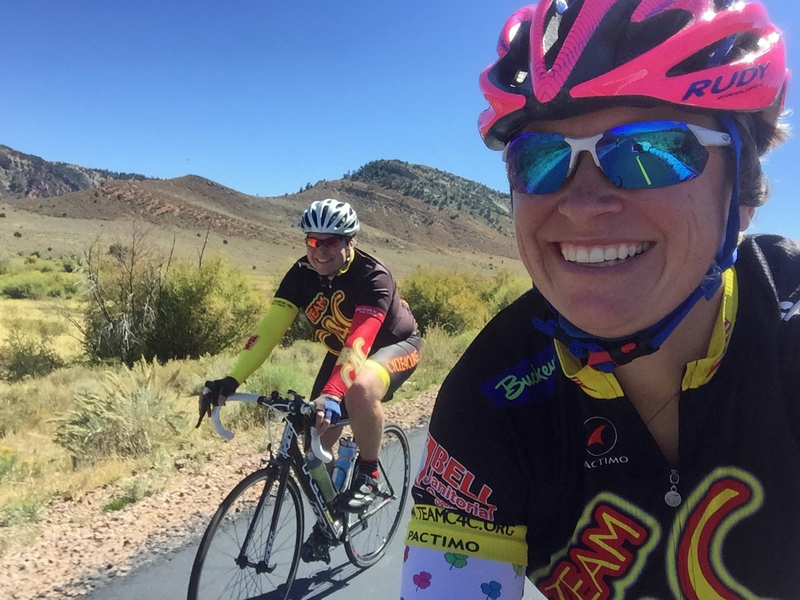 We all love to ride and love to build our own cycling skills and encourage cyclists of all levels to dig deeper. 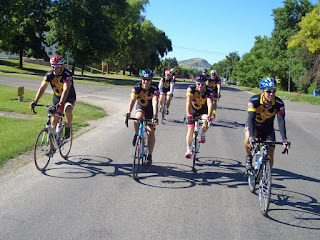 It is a recreational club with thirty members with a wide range of cycling skill and experience. 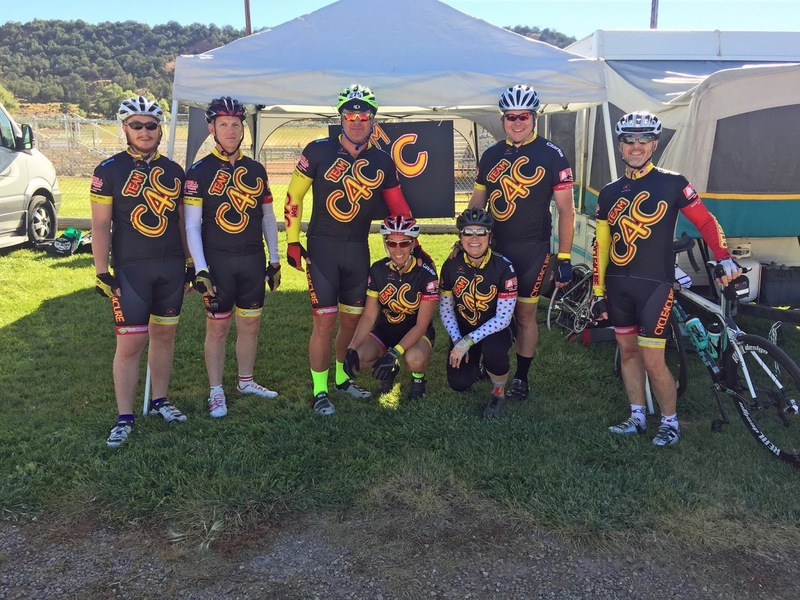 Many members of Team C4C had not participated in any organized riding before joining the team and C4C provides training and opportunities to get stronger, cover more miles, and ride with confidence in a group. 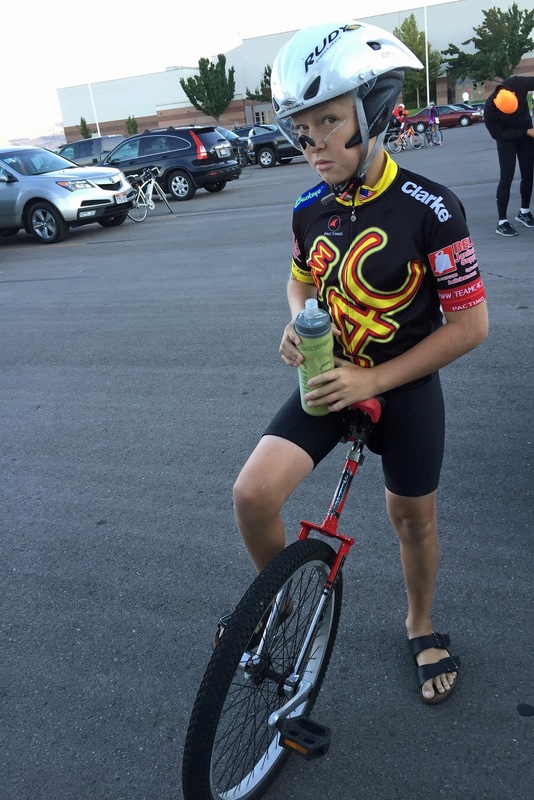 Bike skills are only the beginning of Team C4C’s purpose. 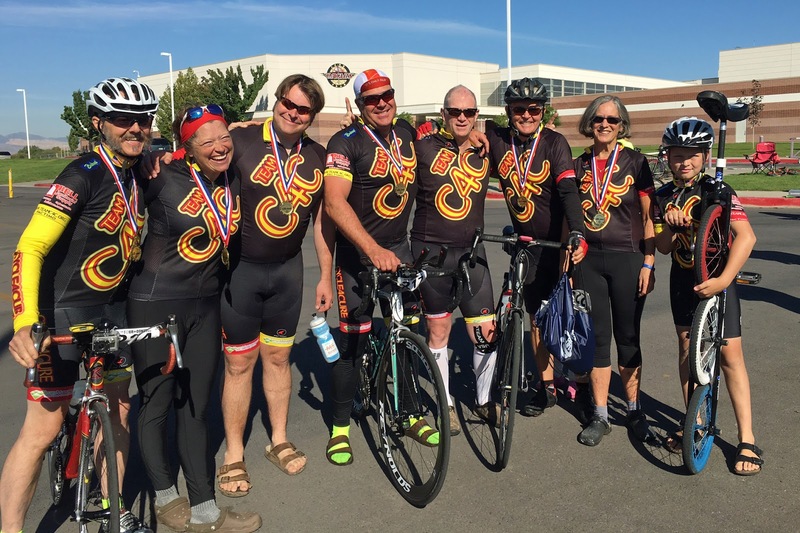 Team members participate in fundraising and awareness rides to raise money to fund cures for tough diseases from MS to diabetes to cancer to mental illness. 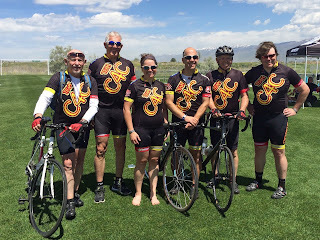 The team has already raised more than $11,000 in the first half of 2015 to support organizations like the National Multiple Sclerosis Society, Huntsman Cancer Institute, American Diabetes Association, and many others to fund programs and research for those fighting serious illness. But what really sets Team Cycle 4 Cure apart for its members and beneficiaries is the personal aspect of every ride. 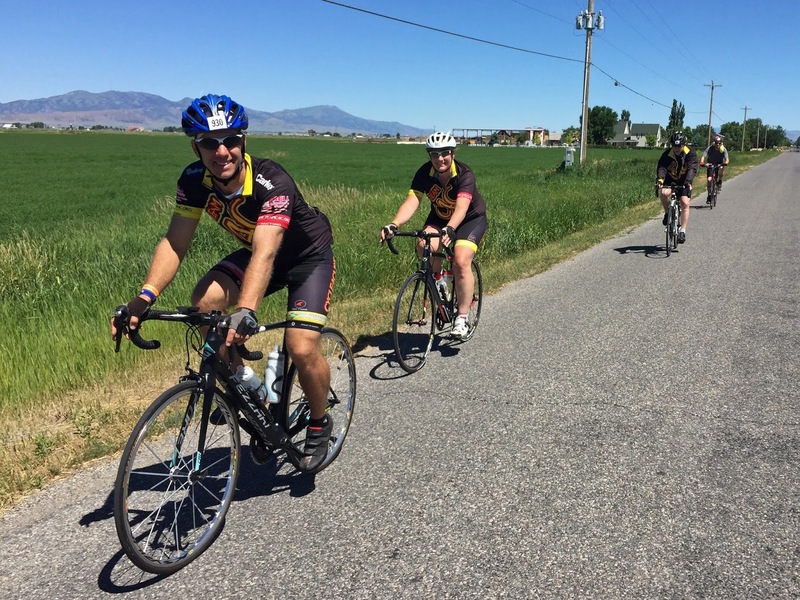 Each rider is encouraged to choose a friend or loved one who is struggling with a serious condition and “carry them along” as a symbolic passenger for the ride. This includes sending the recipient photos or memorabilia from the ride, filming short video tributes while riding, or simply just acknowledging in the heart of every rider that each painful or challenging mile pales in comparison to the struggles of loved ones who fight terrible diseases. 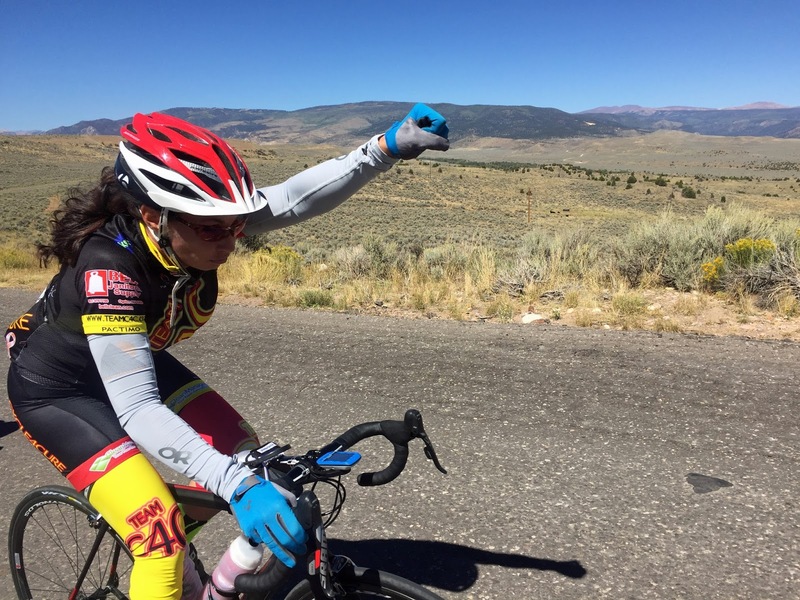 I speak from experience that I can dig a lot deeper and ride a lot harder when I remember that I’m riding for people who are suffering. 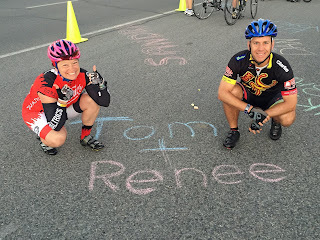 And that’s why I Cycle 4 Cure. 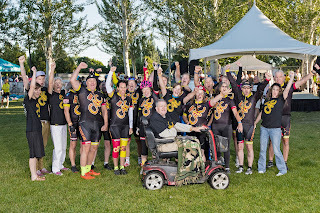 If you’re interested in joining, sponsoring, or learning more about Team Cycle 4 Cure, check out our website at http://www.teamc4c.org or email teamcycle4cure@gmail.com. 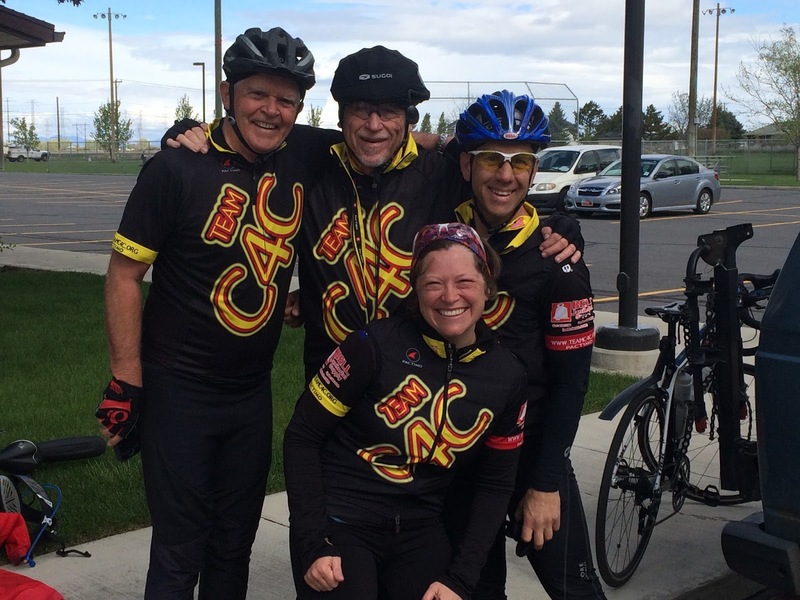 What is C4C all about? 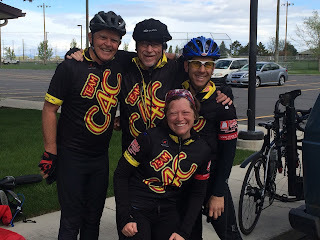 Wondering what C4C is all about? Check out our new video!